Screws are never standardized. If you find a socket plate in one room with flathead screws, one on even the other side of the same room might have a Phillips head screw. 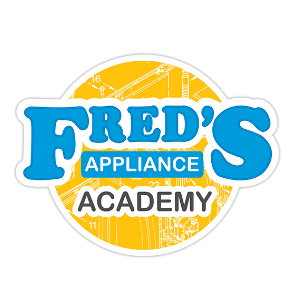 Appliances are particularly varied because screws come in different shapes and sizes, as do the angles around them that give you little access for dismantling an appliance. Here are some of the most universally usable screwdrivers and what you can use them on. What screwdrivers do you need? It’s essential to have both Phillips and flathead (or slot) screwdrivers with you on every job. These are the two most common screw heads and many appliances incorporate both. A standard size slot screwdriver can fit almost any size screw, provided there aren’t walls or sharp angles around it, and Phillips head screwdrivers also fit the majority of screws. The real variation comes in on the handles. Long handles can help you release panels embedded deep into an appliance, and ninety-degree handles can help you reach screws around a tight corner. 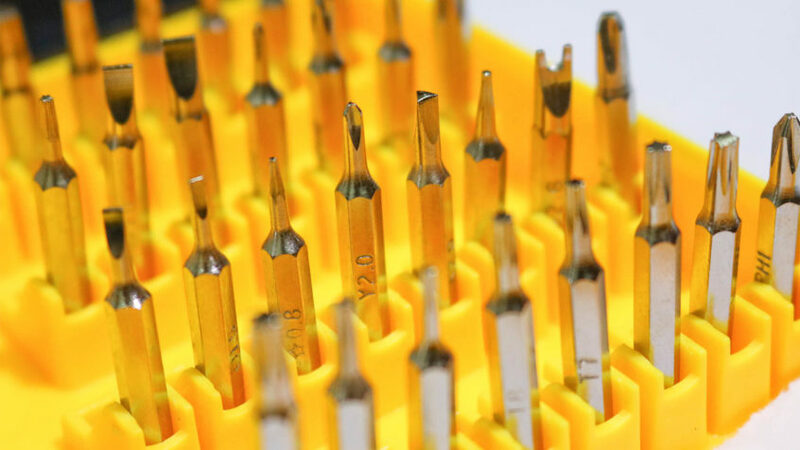 Being good at appliance repair isn’t a matter of having the greatest number of tools, but sometimes a standard screwdriver won’t work, especially if the manufacturer would rather have customers take it to a specialty shop for repairs. Not having tools that reach into tight spaces or odd angles might also be why your client called you in the first place. How do you use screwdrivers on stripped screws? Sometimes a customer might call you in after a failed attempt at dismantling an appliance, and that can mean facing down stripped screws. If you’re working for an established company, you might have access to a specialty drill that can carve into the screw itself and create a new grip for a screw extractor drill bit. Without that tool, you can create enough friction between the screw and your bit by placing a rubber band between them. This fills in the gaps caused by the stripping and helps your drill bit or screwdriver grab onto the screw. Even without that specialty tool, you can use an engraver to deepen the clearest groove and create a sturdy notch for a slot screwdriver. If the screw is easy to reach, your customer might have already tried this and you’ll need to move onto another method. But if the screw is tricky to reach (which might explain why it’s stripped to begin with) you have the advantage of lots of practice. Using a rubber band is a low-tech but universal method, so practice using it even on undamaged screws it tight corners or deep screws by wrapping a rubber band around the length of the screwdriver. Some appliances, especially major appliances like washers and dryers, have bolts instead of screws. While impact and socket drivers can make removing bolts easier, you can build up your collection slowly instead of buying them immediately. If you’re fine with a slower, manual removal, all you need is a pair of gripping pliers. These pliers adjust to grab onto bolts of any size, and they have teeth that grab onto even round or worn edges. They also have a handle that tightens the grip and locks so you don’t have to clench your hand as you’re working it free. Bolts can be tricky to work free the larger they get or the more exposed to water or the elements they are. You will be using more force to work those bolts loose, especially for outdoor appliances, and that can be bad news if the wrench slips free or you finally crack through a layer of rust. Make sure you’re not using your weight to add force and that your hand won’t hit anything sharp and heavy. In fact, once you know a bolt requires more force than usual, tap the end of the tool with a wooden or rubber mallet instead of wrenching at it with your arm. With just a few general tools, you can unscrew or unbolt the majority of panels and parts to appliances. It’s mostly just a matter of knowing how to deal with damaged screws or working around cramped corners, and that takes practice. 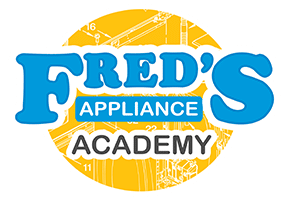 Go to Fred’s Appliance Academy for more tips about troubleshooting broken screws and for gaining the skills you need for appliance repair.